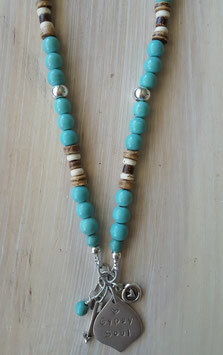 This inspirational necklace with Turquoise, Howlite & coconut shell can be used as a powerful affirmation tool. The 30x13mm silver charm is hand stamped with the affirmation Love Life & also has a heart and arrow charm to remind you to Love Life & Follow Your Dreams. This striking beach boho style necklace with Turquoise energy & affirmation words, can be used as a powerful affirmation tool. 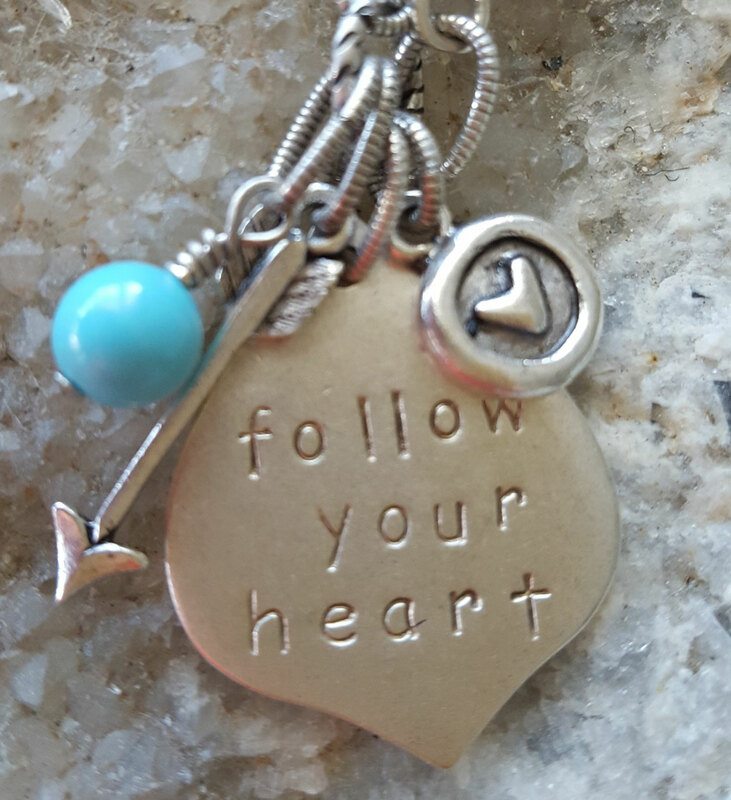 The silver marrakesh charm is hand stamped with an affirmation of your choice, & also has a silver heart and arrow charm to remind you to Love Life & Follow Your Dreams. The total length of necklace is 85cm with 35cm of 8mm gemstone beads plus adjustable vegan cord, with a heart charm on the ends. Choose the affirmation for your charm below.